Sometimes during the weekends, the family and I will take a drive down to the heart of Swan Valley for a good lunch, away from the hustle and bustle of Perth City. One of the places that my family and I have often dined in Swan Valley, is the picturesque Stewart’s at Brookleigh. Apart from the restaurant, the Brookleigh Estate also features an equestrian centre, function centre, health and spa retreats and luxury and affordable accommodation options. To start off, we had some Small Plates to share. 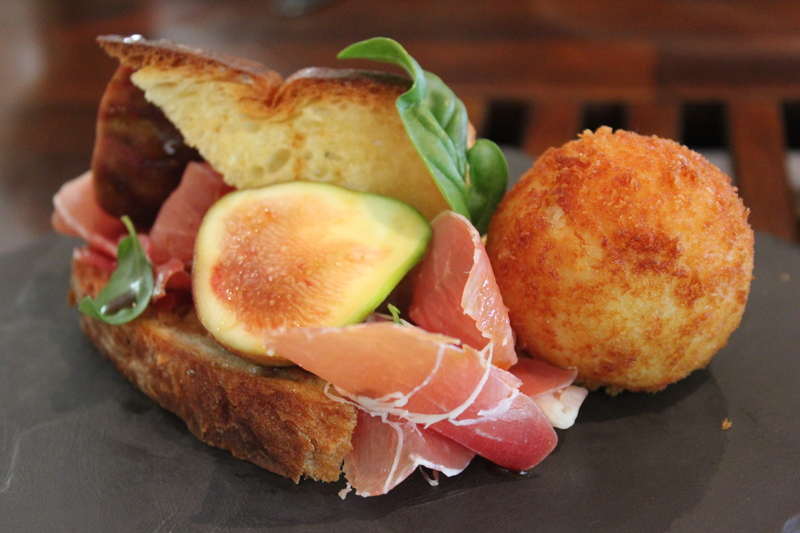 We had the Fresh figs, gorgonzola, arancini, shaved parma ham, vincotto and basil ($18), Seared Rottnest Scallops, summer tomatoes, mint and haloumi ($14) and San Danielle Prosciutto and El Conquistador Serrano Jamon, marinated feta and grilled bread ($18). 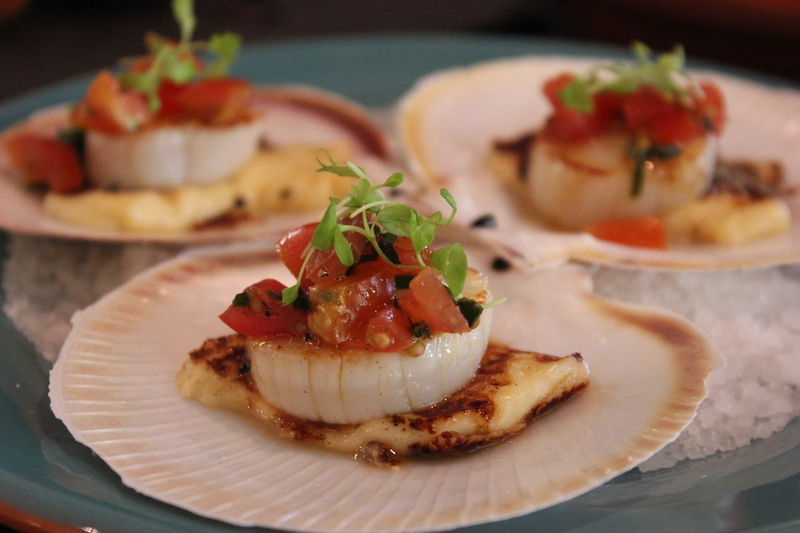 Each of the small plates stand out alone and they were really fresh in flavour and delicious! It was actually hard choosing which small plate to order as all of them sounds good! But I am sure that there is always a next time! 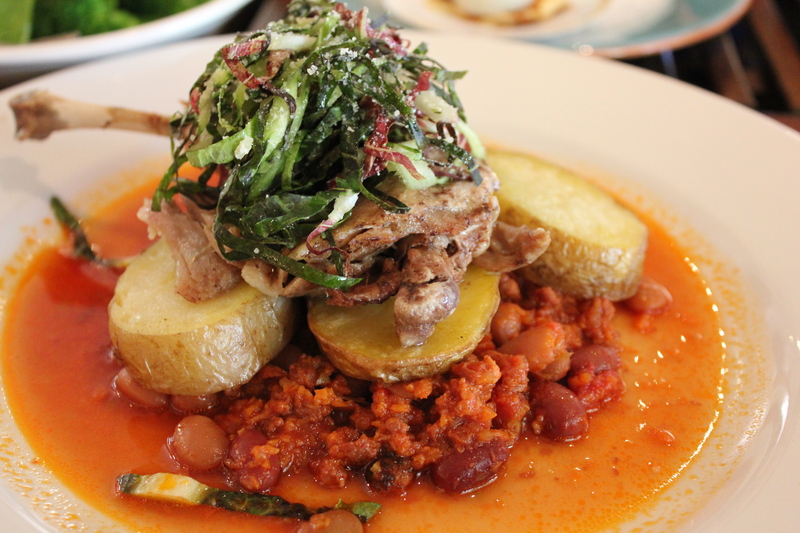 For the mains, I had the Duck confit, fondant potato, chorizo casoulette, radicchio and Manchego salad ($39). 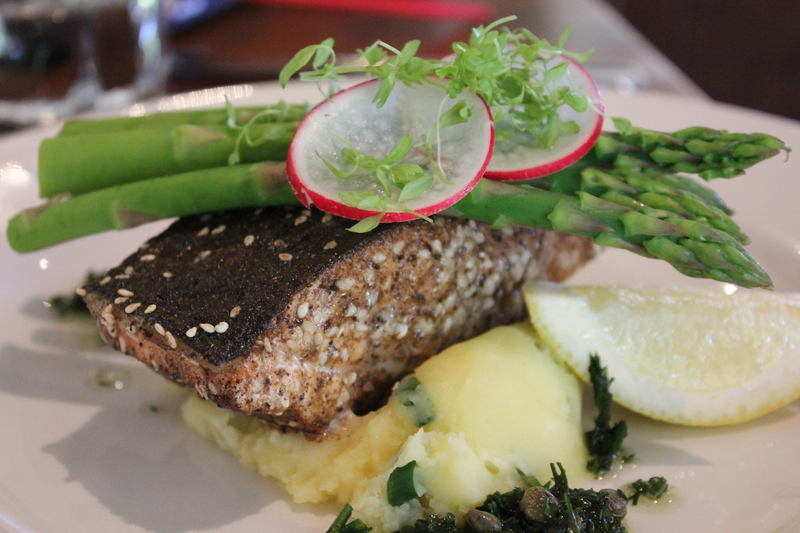 Mum had the Fish of the Day ($38) which was the Grilled Salmon, Mash Potato and Asparagus. The Duck Confit was tender and cooked to perfection. 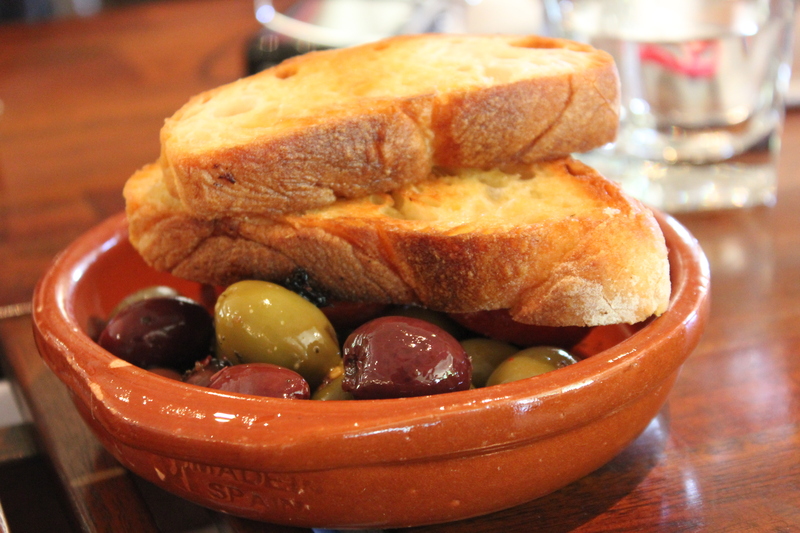 Together with the chorizo casoulette, radichio and Manchego salad, it gave a rustic twist to the dish. It was an impeccable dish. I had a taste test of Mum’s Fish of the Day dish. The salmon was grilled to perfection, giving a bit of crisp on the skin and a soft and tender texture underneath. The sprinkle of sesame around the salmon gave a hint of sweetness to the dish and the mash potato was very smooth and creamy. Overall, it was a lovely dish. To finish off a scrumptious lunch, we had some desserts. We had the Vanilla Creme Brulee, balsamic and brown sugar marinated strawberries ($10) and Peach Pavlova, berry coulis and Chantilly cream ($12.50). 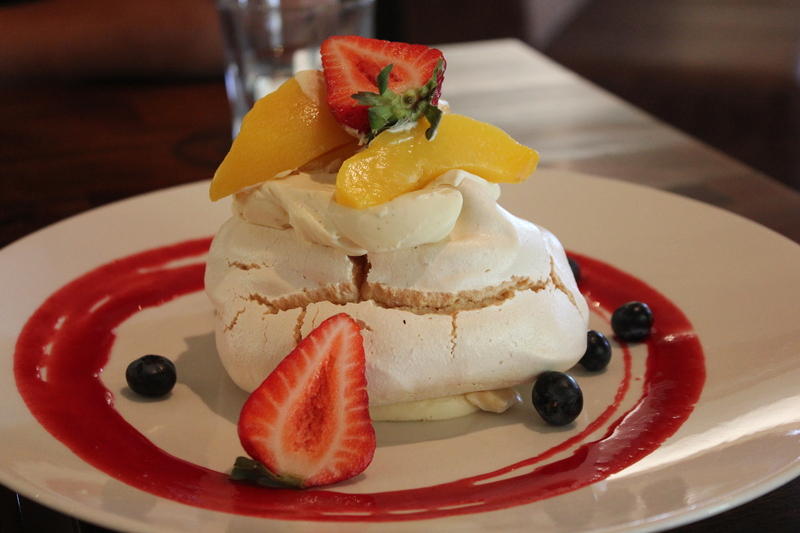 The Peach Pavlova was very generous and it was a mountain full of melt-in-your-mouth goodness. 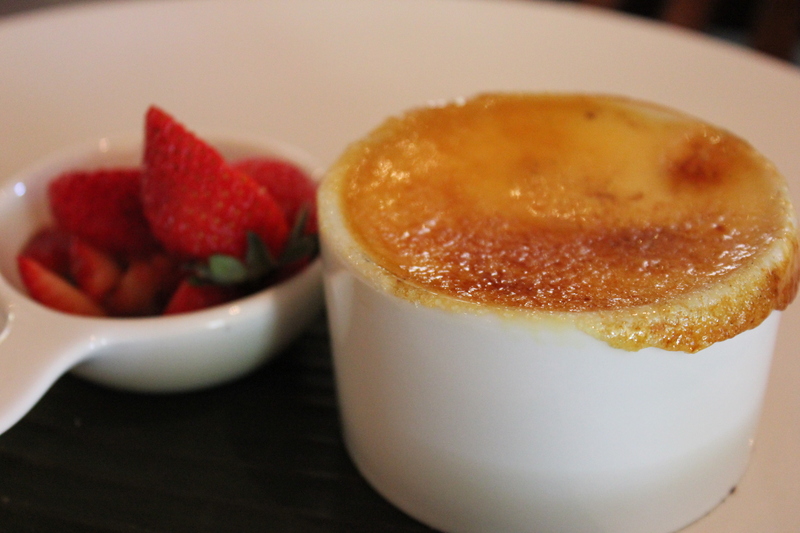 The Creme Brulee was beautiful. It was soft and light in texture under the caramelised sugar on top. After finishing my Creme Brulee, I was left wanting more. I think the reason why the family and I will always go back to Stewart’s at Brookleigh is because of the consistency of the food at every visit. It simply never failed to impress! Service was very attentive and friendly and the restaurant is very spacious and cosy with plenty of light coming in from outside. Stewart’s at Brookleigh is a gem in Swan Valley that one must visit for good food with a lovely ambience. If you have the 2013/2014 Gold Entertainment Card, you can use it at Stewart’s at Brookleigh too!